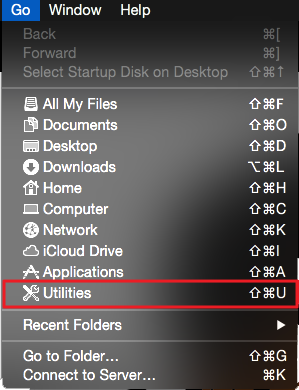 On your Mac's toolbar, click Go and select Utilities. 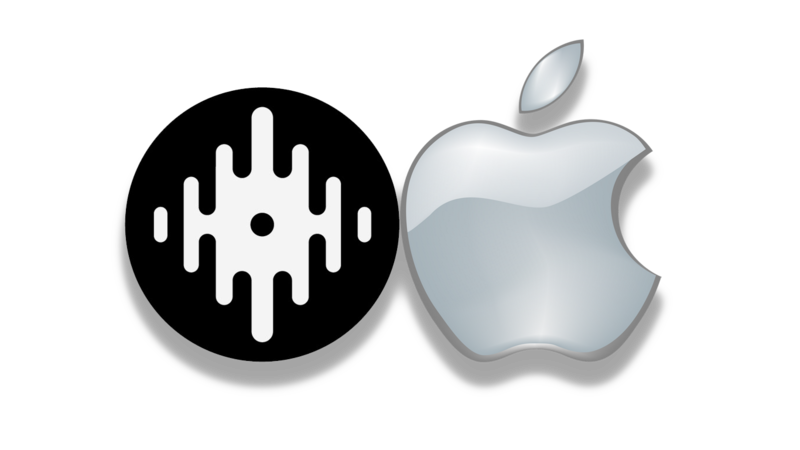 Open Audio MIDI Setup application. 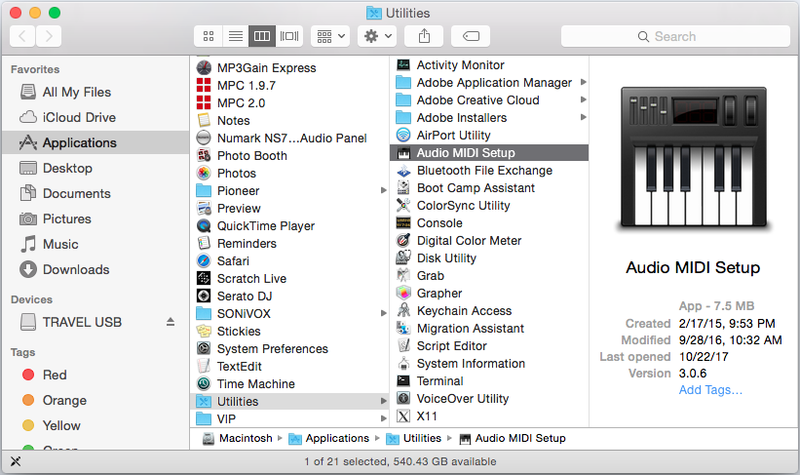 In the Audio Device window, at the bottom left-hand corner, click the + and select Create Aggregate Device. Click on the Aggregate Device name once to rename it, you will need to change it to the exact name and spelling of your device. 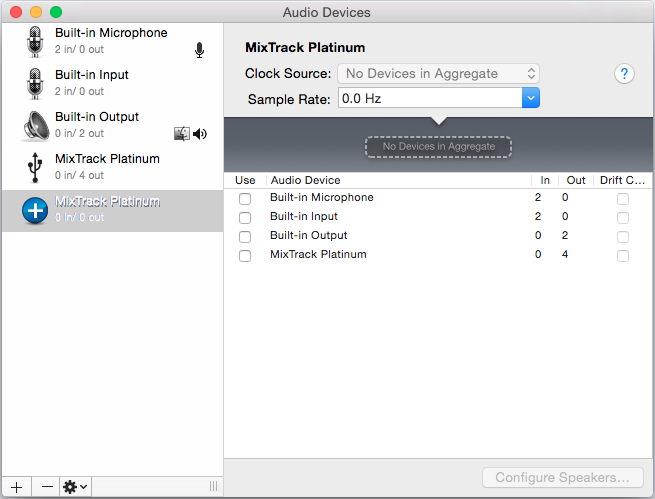 In this example, we are using the MixTrack Platinum. 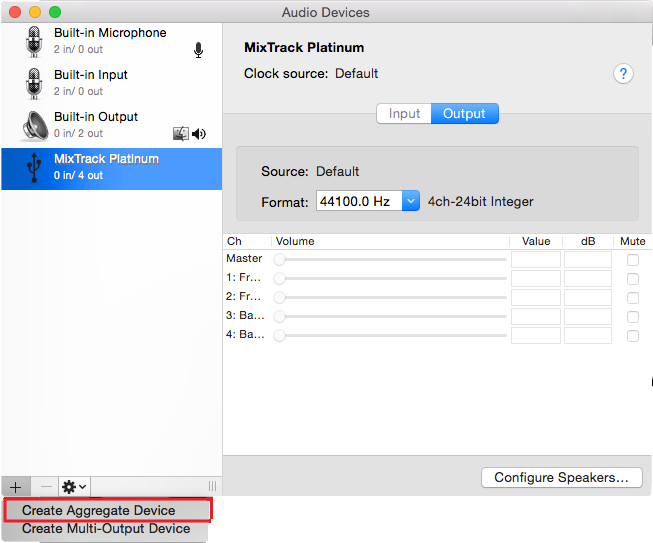 If you are unsure of the exact device name, you should see it listed already on the left-hand side as an available USB audio device. 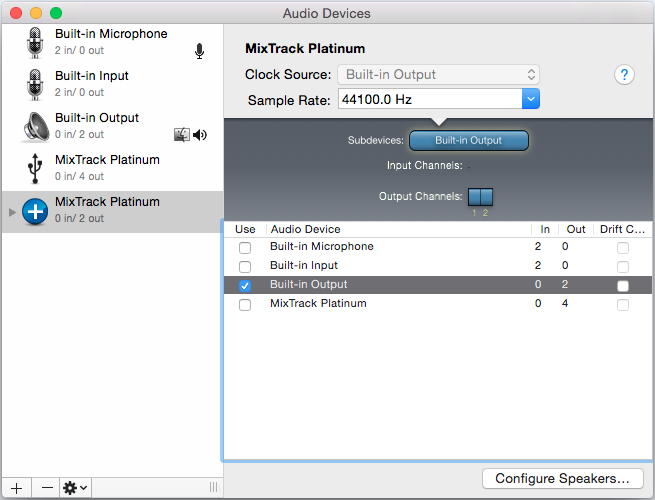 To the right of the MixTrack Platinum aggregate device, select the audio device Built-in Output by putting a checkmark in its box. Close the Audio MIDI setup. Launch Serato DJ, make sure computer volume is turned up. You will also need to make sure the master volume of the DJ controller in use is turned up. You will now be able to play using the Mac computer's built-in output, instead of having to connect speakers to the RCA outputs. Whether you are a customer or dealer, if you already own a Numark product, or if you just have pre-sales questions, the experienced Numark technical support team is available to help! Visit any of the links below to connect with any of the following support options: online community support, phone support, email support.